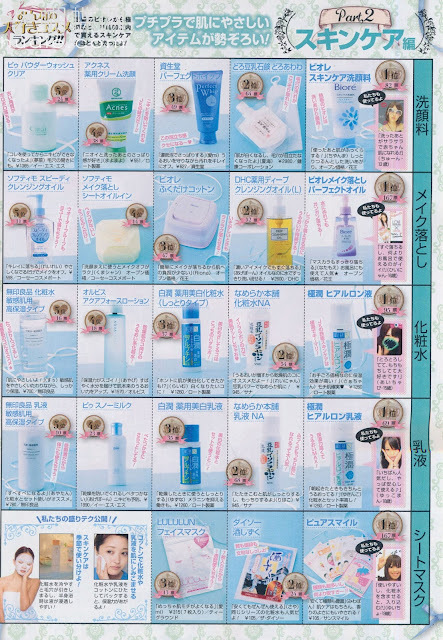 Came across these pages from the Popteen December issue on make up and skincare products that I particularly like. Dolly Wink eye shadows by Tsubasa Masuwaka. I cannot express my love for makeup products from this brand line. Everything that I have used from brand has not failed to make me satisfied and not to mention the super cute packaging that it comes with makes it even harder to resist not buying them. And the fact that Tsubasa makes everything look so cute and dolly just makes you want to buy all their products, or I am just an easily deceived person who blindly believe and buy everything advertised in magazines, lol. This eye shadow is very easy and simple to use that it is perfect for an amateur person like me who doesn't know much about makeup and who doesn't wear makeup all that often. I also like how this eye shadow is very light and natural for the sweet dolly look. When it comes to makeup, I tend to prefer lighter and more natural looks rather than the edgy dark smokey eyes look. 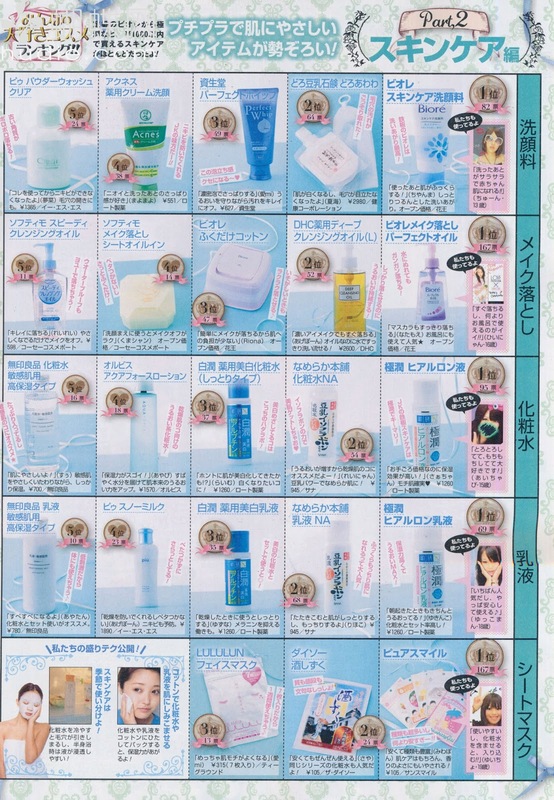 Ranking of the most top rated best Japanese makeup and skincare products for the year of 2012. I love looking at pages like these in magazines because it helps to guide me on which product I should use or try out when I finish using the current ones that I am using. When it comes to skincare, I always like to try new products although I do reuse the same product for certain ones that I particularly like. I'm currently using the blue Shiseido perfect whip foam cleanser that is ranked #3 for best cleanser. I've been using it for quite some time now and it cleans my face quite well. I also tend to be more biased towards Japanese skincare products as I only buy Japanese skincare products because I honestly think Japanese people have the most beautiful skin ever. And somehow I just believe they work better on my Asian skin as oppose to other brands from other countries. It's the same with makeup where I tend to only particularly like using Japanese brand makeup more than the American drug store brands here or even from Sephora. I guess it can't be helped that Japan does have and make the best products in the world, lol.